Shaw GMC is committed to you by delivering unprecedented customer service both when you buy your car and when you return to us for scheduled maintenance service. History of Shaw GMC: 1962	Shaw GMC Chevrolet Buick began selling trucks at 4620 Blackfoot Trail. At the core of the business was medium duty trucks. 1971	Shaw GMC Chevrolet Buick began sponsoring the Stampede Queen and Princesses. 1985	First major building renovation. 1992	Shaw GMC Chevrolet Buick begins selling Pontiac and Buick car lines and renovated the building to create a car showroom. 1996	Shaw GMC Chevrolet Buick merges with Shaw Lease. 1999	Shaw Truck Rentals established. 2000	www.shawgmc.com goes online. 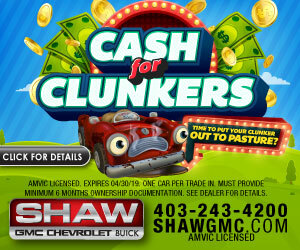 2001	Shaw was awarded the rights to be Calgary's only Hummer dealer, creating the present Shaw GMC Pontiac Buick Hummer. 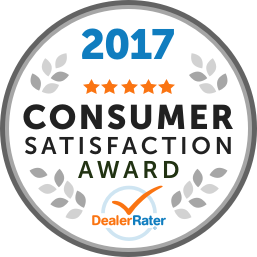 2002	General Motors declared that Shaw GMC Chevrolet Buick sold more trucks than any GM Dealership in Canada 2004	Shaw GMC Chevrolet Buick nominated by Calgary Herald readers as best dealership in Calgary. 2005	www.shawgmc.com is completely revamped. 2006	Major building renovation, expanding the showrooms and service area. 2009	Shaw GMC Chevrolet Buick becomes Calgary's newest Chevrolet Dealer. 2009	Shaw becomes an authorized dealer for Isuzu Medium Duty Trucks. 2009	www.shawgmc.com gets a brand new, modern look. 2010	Shaw GMC Chevrolet Buick gets the rights to sell Corvette.